Four cancer research institutes have joined with Illumina to form a consortium that will recommend standards for applying next-generation sequencing to cancer tumors. The new Actionable Genome Consortium (AGC) said it aims to help oncologists and pathologists determine the best therapeutic and testing strategies for improving patient outcomes. Joining Illumina as founding members of the consortium are Dana-Farber Cancer Institute, Fred Hutchinson Cancer Research Center, MD Anderson Cancer Center, and Memorial Sloan Kettering Cancer Center (MSK). “Widely available, standardized genomic testing of tumors can be the means by which precision oncology and therefore precision medicine begins to live up to its promise,” Rick Klausner, M.D., former director of the National Cancer Institute and now Illumina’s SVP & CMO, said in a statement. 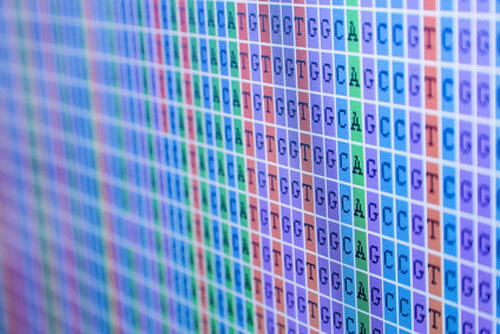 Illumina’s co-founding of ACG comes as the sequencing giant looks to grow its business with clinical practices, reflecting the migration of genomic technologies into clinical settings and its ongoing effort to broaden its customer base beyond NIH-funded customers in academia and government. Illumina and its partners in ACG intend to standardize actionability standards that now vary from provider to provider, complicating efforts to clinically interpret genomic tests. Most patients lack access to multidisciplinary Tumor Boards along the lines of those at major cancer centers which define what constitutes an actionable event in a tumor. ACG’s recommendations are expected to facilitate development of in vitro diagnostics, additional information to support regulatory oversight of genomic testing for cancer, and reimbursement for new diagnostics. The consortium also said it plans to carry out research that will leverage the scientific, clinical and technical capabilities of its member institutions for new collaborative, cross-institutional projects to address “grand” challenges in molecular oncology. “Patients will be more likely to receive the proper targeted course of therapy from the outset when the community oncologist is aware of standard molecular testing procedures and how to interpret these test results,” added Charles Sawyers, M.D., chair of the Human Oncology and Pathogenesis Program at MSK and a Howard Hughes Medical Institute Investigator.